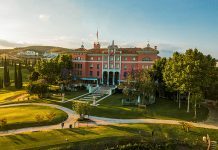 Soho House has announced the opening of its new outpost in Istanbul. Located in the Beyoğlu district, the creative heart of the city, Soho House Istanbul marks the group’s second European club. 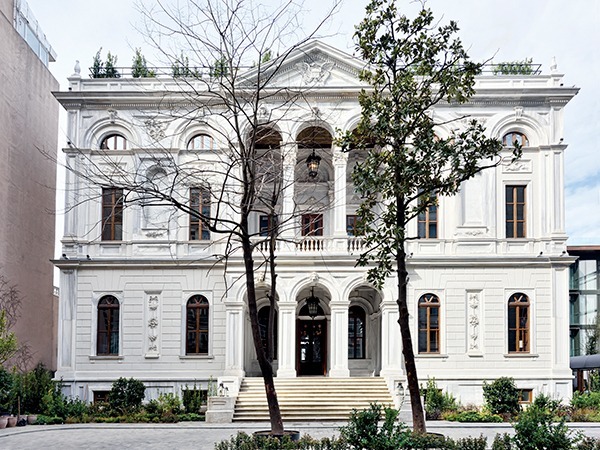 Soho House Istanbul is the biggest House to date and occupies four buildings: the Corpi Building, the Annex Building, the Chancery Building and the Glass Building. The design has been lead by Nick Jones and Soho House’s in-house Design Director, Vicky Charles. Both took inspiration from the city and its mix of traditional and modern design. 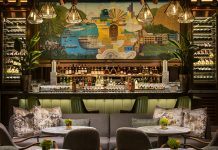 The Corpi houses the private club spaces, a rooftop pool, and a late night New York style prohibition-era bar club, named The Embassy Club. 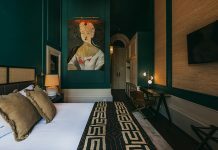 It has been brought back to its former glory by the Soho House in house design team, with the restoration of its original frescoes, Carrara marble flooring and rosewood doors, juxtaposed with early 20th century furnishings. The Annex Building was the Embassy’s original annex and hosts 28 bedrooms. The Chancery Building is newly constructed, has a Cecconi’s public restaurant on the ground floor and The Chancery Room upstairs for private hire. It also features The Allis that serves light breakfasts and lunches, mezzes in the evening and afternoon tea and drinks including craft cocktails. The Glass Building is a second newly constructed building, with six floors dug into the hillside. The building offers 58 bedrooms and an apartment, each room includes uniquely sourced furniture and artwork, rainforest showers and Cowshed products. Many of the furnishings and tilings in the bedrooms are from local suppliers both traditional and modern. Other features of the hotel include a Cowshed spa with two hammam rooms, a fully equipped gym, a ballroom for events and a hotel club. The hotel club hosts a range of spaces for members to eat, drink, meet and relax. Menus are inspired by Turkish cuisine, using locally sourced ingredients. Also, the Mandolin Terrace offering Aegean inspired dining occupies the rooftop of The Chancery Building, with direct access from the club.